When my husband and I were first married I struggled with leftovers. We would forget to eat them or I just re-heated everything in the microwave. I never really thought past the actual food as it was. Then after having kids I realized that I needed to start using leftovers in a more efficient way. With two boys if I serve the exact same dish two days in a row they groan or refuse to eat it. However, if I reinvent it into a new dish they embrace it wholeheartedly. So I have learned to make multiple meals from one recipe. Today I made chicken salad with capers from the leftovers of the Roasted Chicken with Parsley Caper Pesto from last week. For the gluten free sandwich shown above I followed the same recipe with the addition of dill seeds. The dill seeds really did help to bring out the flavor of the salad. My husband and oldest son enjoyed their sandwiches with arugula. I had mine with just the chicken salad. Overall this was a great way to use a recipe to make two separate meals. Here is the link to the post for the Roasted Chicken. I've never had capers in my chicken salad, but it sounds really tasty. 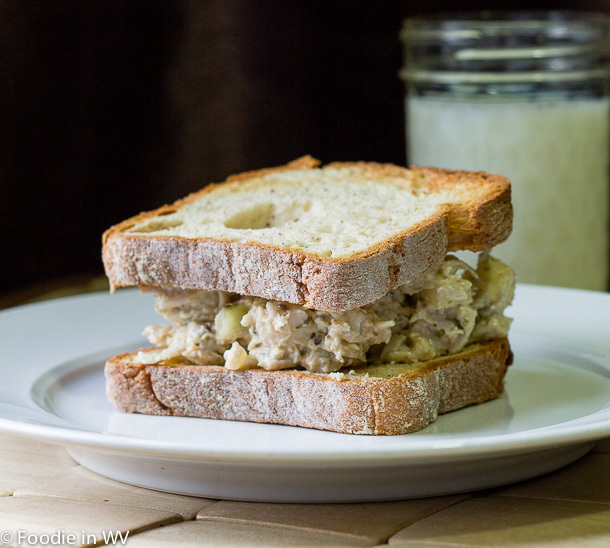 I love capers and chicken salad sandwiches are one of my favorite lunches! 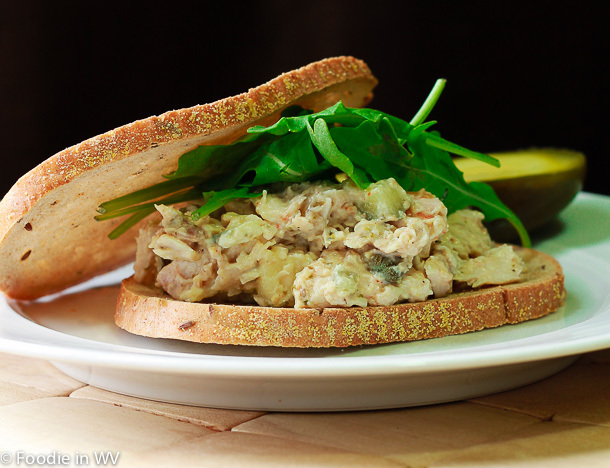 They are one of my favorite sandwiches also :) The capers give it a nice salty flavor which is tasty! The only thing that keeps me from having it is mayonnaise. Darn that I can't stand the stuff! That is a great idea to re-invent the food. I bet it's fun for you too. I love capers. Great was to use leftovers. Nice sandwich. this is such a creative way to use leftovers! we will definitely be putting this recipe to great use!